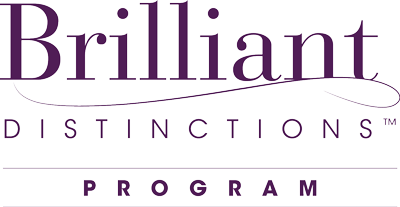 The Brilliant Distinctions program is a rewards based program that was developed by Allergan, the makers of Botox and Juvederm, where you can earn points redeemable for valuable rewards when you visit Ageless Medical for your Botox treatments. Points are redeemable for coupons that will save you money on your Botox treatments (only after 3 months since last treatment) and other Allergan products including Juvederm and Latisse. While the initial treatments are worth 200 points, you will receive steadily increasing bonus points with each BOTOX treatment. Also, the more points you redeem, the greater the value is of the savings! Store your log-in information in a safe place, you will need this to deposit points from Ageless Medical and to create coupons for future treatments. Every time you receive a BOTOX treatment from Ageless Medical you will earn a voucher (as long as it has been 3 months since your last visit) representing points that you can deposit into your account. This voucher can be emailed to you and can be printed at Ageless Medical. Log in to your Brilliant Distinctions program account and deposit your available points into your Ageless Medical account. 3. Earn a higher return per point as you accumulate more points, which means the more you participate in the program, the greater the rewards. Log in to your Brilliant Distinctions program home page and click on “Redeem Points” to get savings on select Allergan products and services, including: Botox, Juvederm, and Latisse. You will see a dropdown menu that will show available coupon amounts based on how many points you have accumulated. Alternate coupon amounts will be shown in gray to illustrate what you can get when you save up more points. Click “Create Coupon” and a printable coupon will be available for you to bring to Ageless Medical on your next visit. This coupon will show you what products it can be redeemed for as well as when you’re eligible for your next BOTOX treatment. How many points do I need to redeem a coupon? To begin earning points with each Botox Treatment, make sure you are registered on the Brilliant Distinctions Website. Once you are registered advise our staff that you are a participant. The staff will input your treatment information into the Brilliant Distinctions program each time you have a treatment. You will receive an automated email from Brilliant Distinctions which includes your points award and a special voucher code. This code must be input into your Rewards account in order to bank your points. There will be link to the program website in the email. Sign into your Ageless Medical account, input the emailed voucher code and your points will be banked. Please do this right away as the email code will have an expiration date. How do I get coupons to use for my treatments? Just prior to coming to the office for a treatment, log onto your account in the Brilliant Distinctions Website and choose “Redeem Points”. –>Click here for the Brilliant Distinctions log-in link The screen will show you how many points you have available to you. Make your selection as to how many points you would like to use and Click “Create Coupon”. Print this coupon and bring to your treatment. This amount will then be taken off your treatment charge. What happens if I forget to print a coupon? Do I have to do anything after my Botox treatment? Yes, Once you have received your treatment the Ageless Medical will let the program know that you have received a treatment. The Brilliant Distinctions Program will then email you a voucher with the points earned by having this treatment. Please note that there is an expiration date on the voucher. We suggest that you immediately upon receiving the voucher in the email, log onto the website and “bank” the points so that they will be available to you for your treatments. If the voucher is not redeemed prior to the expiration date, these points will be lost and there is nothing our office can do to get them back for you since this is not our program. Yes. It is important to realize that the points have not been added to your profile until after you redeem the voucher issued from your treatment. The expiration date of the voucher will be printed on the voucher you receive in the email. Once the points are “banked” the program states that these points will remain active in your profile as long as you have either deposited or redeemed points within 2 years. Our office can not make allowances for expired vouchers or points since The Brilliant Distinctions Program is an Allergan Corporation Program.